TWICE TOLD ALBUMS | ItuaLive! Two of Nigeria’s loved and respected artists have delivered sophomores. 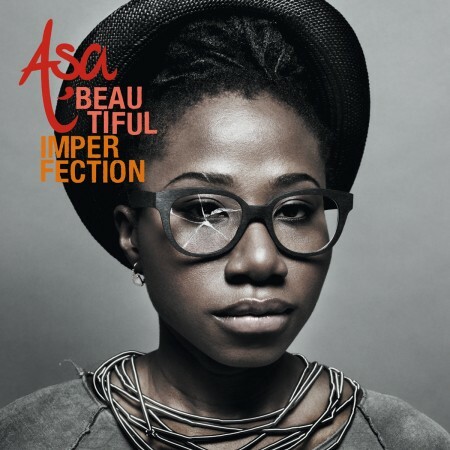 While MI has taken it upon himself to embark on an “impossible mission”, Asa claims there ‘s beauty in imperfection. Both albums are discussed below. Sophomore slump or Comeback of the year is a title of a Fall Out Boy song, and it states the fates awaiting every artiste after a successful debut. Jude Abaga more commonly known as MI is one of such artistes, though following the innumerable collaborations, from the average ( TY Mix’s Omo Naija) to the sublime (think the Choc boys’ anthem), comeback is not quite the term. But there’s no question about the pressure he must have been to deliver the goods second time around on his own. How does he respond to this pressure? He tries to invite everyone to the feast that is the MI2 album. The first five songs all have featured artistes and if Talk about It was a little highbrow, MI2- with its several pidgin choruses- strives not to be. Quickly, despite its subtitle it is not a movie but it has a movie theme that is frequently abandoned and this is good news for it becomes a distraction after the novelty wears off. The album opens with an audio ‘movie’ that features a kidnap and the funny politically incorrect line: “We don’t release those we kidnap, we are not Nigerians.” The movie- and thus the album- starts with the New Line Cinema score. Movie buffs would readily recognize the sound from the Rush Hour movies. The music (finally) starts with Action Film featuring Brymo who provides a fitting chorus to MI’s wordplay: “so gifted he must know Santa.” MI’s flow has urgency to it like he knows he has to impress us quickly and he manages to. Still, the album doesn’t take off until highlife singer Flavour appears in the song Number one, where despite singing only the chorus and a bridge both in praise of MI, he jostles for supremacy even when Mister Incredible spits gems like, “They must be high like Aloha”. Flavour’s delivery is a reminder that be it politician, magnate or artiste, Igbo highlife reserves the right to effective praise singing. 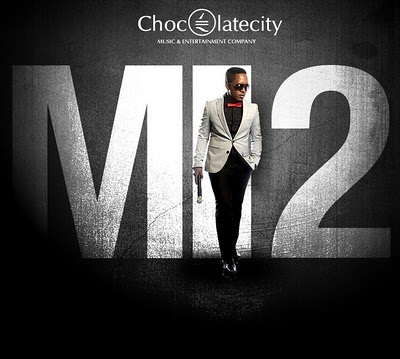 Flavour isn’t the only recognizable artiste in MI2, there’s Timaya and Tuface, the latter features on a track previously released but with new lyrics for MI to play with: “Try to be nice and you feel Toni’s pain.” He drops gems, “Life is bisexual- anybody can blow” still both tracks do not add up to the sum of the artistes. The track Beef sees MI responding to the misguided attempt of Kelly Handsome to start a feud. Truth is, it was never really a contest. That MI has devoted an entire track, after the beautifully dismissive line in the Choc Boiz Anthem, “Only one Kelly that I know- Kelly Rowland,” to the man raises more questions about MI’s range of topics on the album than it delivers the coup de grâce to a largely irrelevant singer. MI who has said previously that he doesn’t need “to spit in vernacular because the flow is so spectacular,” eats his words repeatedly during the 70 minutes of the album but especially in the three vignettes of suburban Nigeria that make up the song My Belle My Head, and it is unlikely he develops bellyache, as production on the track is near faultless, the rap on the song is melodious and his pidgin is wickedly witty: “Hunger hook man for neck, shey na bowtie?” but the song suffers from a lack of street credibility. Lack of this had seen Jay-z taunt Nas in Takeover: You ain’t lived it, you witnessed it from your folk’s pad, scribbled on your notepad and created your life.” Though he spits in first person about caring for his poor mother- “make I turn slave, Kunta kinte-” and in cajoling a young man on the road to spare some change, you just can’t picture the short black boy in that circumstance. This is why a lyrically inferior track like Timaya’s Plantain Boy, would resonate more with the average Nigerian. The schoolboy in Mushin, the bus conductor in Benin and the longsuffering hawker in Abakaliki know the difference between rapping it and living it. It’s a fine song but it is not likely that those he’s trying to invite to this banquet would be tempted. It also suffers from reluctance to push for higher social consciousness- a police officer in the third verse threatens incarceration rather than the accidental discharge that has become a staple of today’s headlines. But, these would only matter if the catchy tune does not distract which admittedly is difficult. Tell me how did this occur? None of the clever but ultimately pointless wordplay is delivered in the two heartfelt verses on this song and the sobriety is an achievement. Other notable tracks include Undisputed and the punch line laden Represent with the Choc boiz. Talk about It thrived commercially on the strength of Safe, a song that relied on the brilliant play of lyrics from popular songs. Despite the stellar production of the tracks, no one song in MI2 has that potential. The album needs a grand video to push it. Chocolate City can’t afford to play it ahem… safe. “Even Brave heart had a late start,” he says on Epic. Well, as MI2 is not a classic record, fans would hope the reverse isn’t true for the Incredible Meister- that he hasn’t peaked too early. A funny thing happened when I heard Be My Man, the first single off this album. It was on radio and the OAP hadn’t mentioned the artist. I was so impressed that I took some lines down so I could google to find the artist that had decided to bless me so. Midway into this ritual, I realized it was Asa singing. There are more differences on the album, most noticeably mood. The album is more diverse and upbeat; she trades the delicious melancholy of the debut for a wider range: there’s the mocking tone of Brother Ole, the sweet and nostalgia inducing Dreamer Girl, the penitent Preacher Man, the ponderous Questions- which is strongly reminiscent of Disney’s soundtrack Colours of the Wind- and the absolutely heartbreaking Baby Gone. Gone also is the frequent piano and guitar riffs of the debut, the instrumentation is more varied in what is an attempt to include soft rock elements into some of the tracks especially in Ok, ok- there’s even an unnecessary intense guitar strumming in Bimpe. But perhaps, she hasn’t quite mastered percussive instruments as save for Be My Man they don’t feature much. In spite of these dissimilarities and its diverse content, its success is not triumphal. There are no risks, no unusually high notes, no outrageous pitching, no surprising collaboration, no intricate lyrics and hence no unexpected joy. Unsurprisingly it works; there would be no new fans but the old ones would be pleased or at the very least be grateful. It would cause the listener to muse, to laugh, to cry and perhaps to dance awkwardly like a Caucasian or slowly like a jazz enthusiast. But, except you have a partner as crazy as say, Eva Greene’s character in The Dreamers or as wild as Bimbo Akintola’s in Out of Bounds, it would be better to listen to the album alone. The debut had thrived on the sheer novelty of novelty; this one succeeds because- to channel Designer Impostors- if you loved Asa, you will like Beautiful Imperfection. Not like that’s a particularly bad thing. ©2011 Aigbokhaevbolo Oris (First Published in Thisday Newspapers on 2nd January 2011).